(0 Customer Reviews) | Write Review 9 issues per year Essential business magazine for delicatessen, farm shop and food hall owners. With all the news of the fine food industry that you need to know, interviews with key players and advice for retailers, Speciality Food is a must-read for anyone seeking to turn their love of good food into a profitable business. Each issue takes an in-depth look at important aspects of quality food retailing and includes regular sections devoted to the cheese, dairy and confectionery industries. Speciality Food sources useful information from the owners of local delis and also the buyers from premium retailers such as Harrods. Panels accompanying features easily identify new products for retailers to stock, while upcoming store openings, shows and food events are all listed. 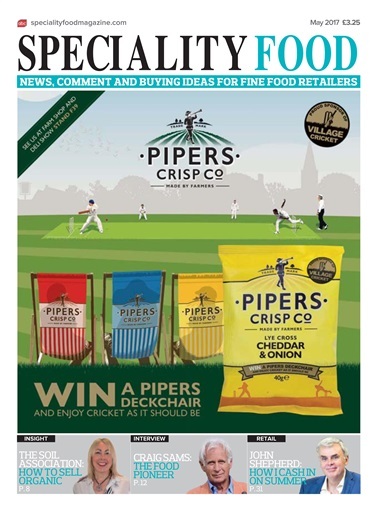 Features may include looks at regional foods, store refurbs, olive and other oils, wine, sauces, cheeses, seasonal food and drink, bakery and other stocking essentials. Welcome to the May issue of Speciality Food. I hope it finds you well, full of plans for the coming months and – if you attended – inspired by your recent trip to IFE. As ever, the Speciality Food team was in attendance and greatly enjoyed discovering the latest products, making new contacts and catching up with established ones. Essential business magazine for delicatessen, farm shop and food hall owners. 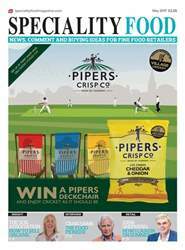 You'll receive 9 issues during a 1 year Speciality Food magazine subscription. You'll receive 9 issues during a 1 year Speciality Food magazine print subscription.